When your loved one plans on aging in place, home modifications for seniors help them thrive. If they want to move in, you have many options to consider. You can change your home’s layout, furniture, hardware or other aspects of the building to make it friendlier for seniors. Creating a safe and comfortable home for your loved one involves their unique needs. So, we created this list of home modification ideas to inspire you. These changes will improve your home’s safety for your loved one. They can maneuver to the necessary parts of their home and have better visibility during everyday tasks. With these modifications, you can support your relative’s mobility and autonomy during daily care. They can do more grooming on their own, improving their emotional well-being. Some of the changes also help you assist with their care. 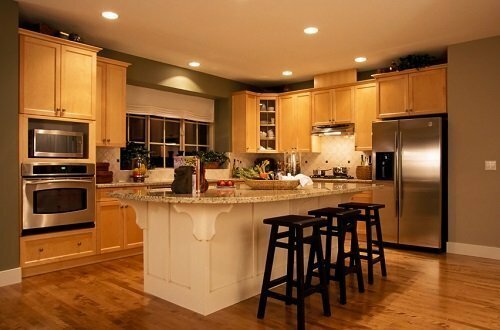 When you change your kitchen, your adjustments will depend on whether your loved one can cook. You may need to keep specific appliances away from them or make them easier to access. If you need someone to assist you with your loved one’s care, let us refer you to our qualified caregivers. Our network of care professionals can support your relative and address their needs. They can assist during the workday or only now and then. Before you hire one of our professionals, we provide free interviews where you ensure they meet your standards. For more information, we welcome you to complete our online contact form or call us at 786-360-3449.